but it's no joke that I'm a guest designer on the High Hopes challenge blog! I love this cute little frog! You can buy him HERE! and fussy cut him out . He needed something to sit on so I drew a lily pad and cut it out. is a birthday theme challenge, so I'm going to submit this card over there. Sure would be nice to win $50 to shop with! 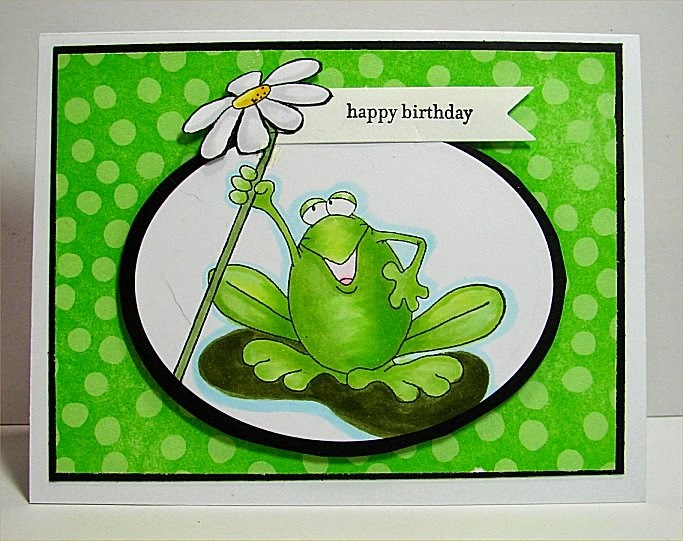 LOVE your lime birthday card, Doni! It sure made me smile! Thanks for sharing it with us on our 6th Birthday celebration at the Simon Says Stamp Wednesday challenge! Oh my goodness Doni! 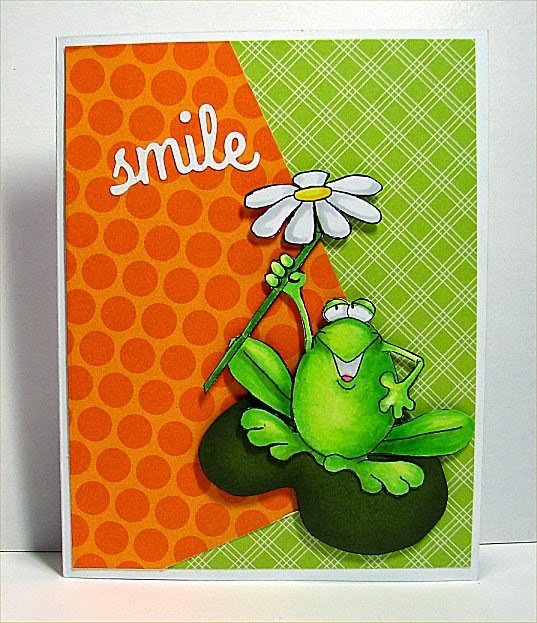 Your cards just make me smile - so bright, cheerful and fun! Thank you for being our guest designer at High Hopes!